The popularity of Scandinavian crime novels has meant that we’re getting a greater opportunity to see films and TV programmes from the region and I for one I’m grateful. 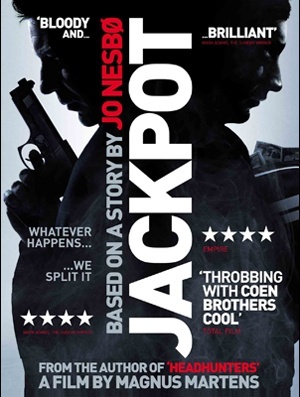 Jackpot is a very gruesome, very dark and very funny adaptation of a Jo Nesbo story. The accent is on the humour rather than on the thriller elements. It doesn’t look like much and production values are very inferior. What it lacks in gloss and glitz, however, it makes up in laughs; and one doesn’t often get a chance to see movies from Norway. The ending is not quite surprising though the glee with which some in the audience greeted it makes it very much of its time or, more precisely, an indictment of its time.